Nobody at Camp of the Woods need go away hungry. Each meal features a variety of foods even picky eaters can enjoy. Fresh fruits and veggies along with kid-friendly menus make for tasty times in the Lodge. 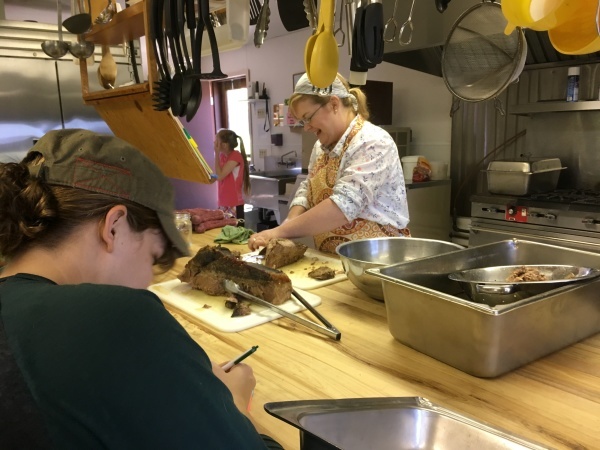 If you or your camper has special dietary concerns, we would encourage you to contact our team early so that arrangements can be made at [email protected]. Try the brownies! They are delicious! Camp of the Woods is kind of famous for serving delicious food! We use fresh ingredients and recipes from 50 years of camp cooking. Everything tastes great and is kid friendly. Picky eater? Our food is very kid friendly. Dietary restrictions? Kitchen staff will work to protect your camper. Growing out of their shoes? There's a chance for seconds and thirds! We strive to provide fresh fruits and veggies throughout the day. Campers love all the colours that are available to eat! Tasty desserts come out of the bake room. What's your favorite--brownies, cookie bars, jello, or rice crispie treats? 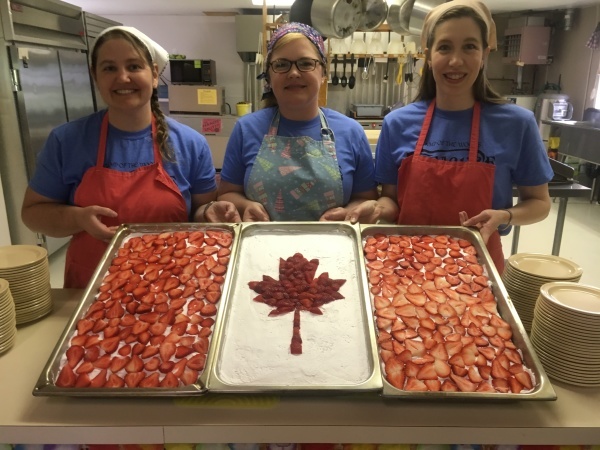 Kitchen staff get to connect three times each day with campers hungry for food and hungry for attention. We encourage smiles and lots of "please" and "thank yous."